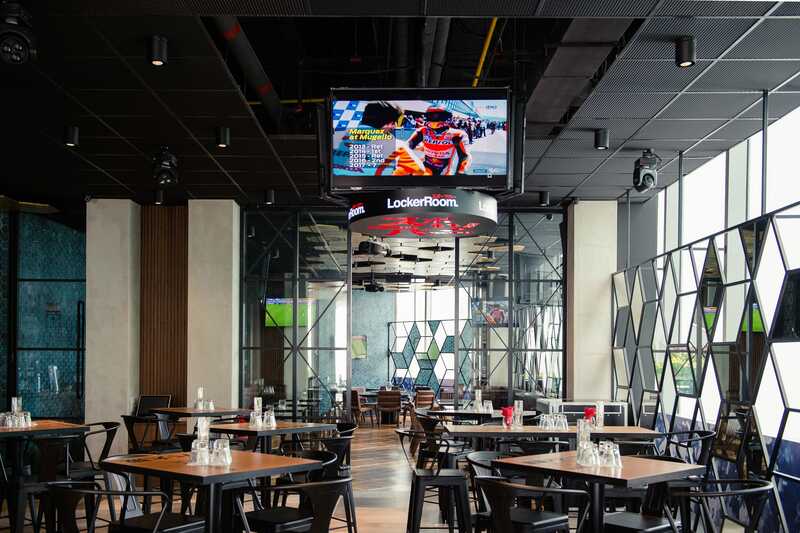 The Locker Room is the first sports bar in the newly opened DC Mall in Damansara. 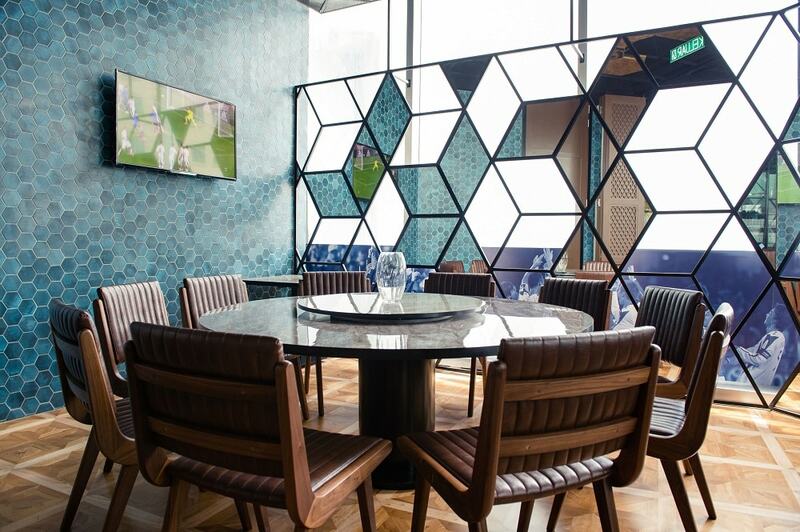 Located on the 3rd floor facing an open walkway surrounded by greenery, The Locker Room remains, for now, a peaceful little enclave for a quiet lunch or a night out to watch your favourite sports team play for the title. 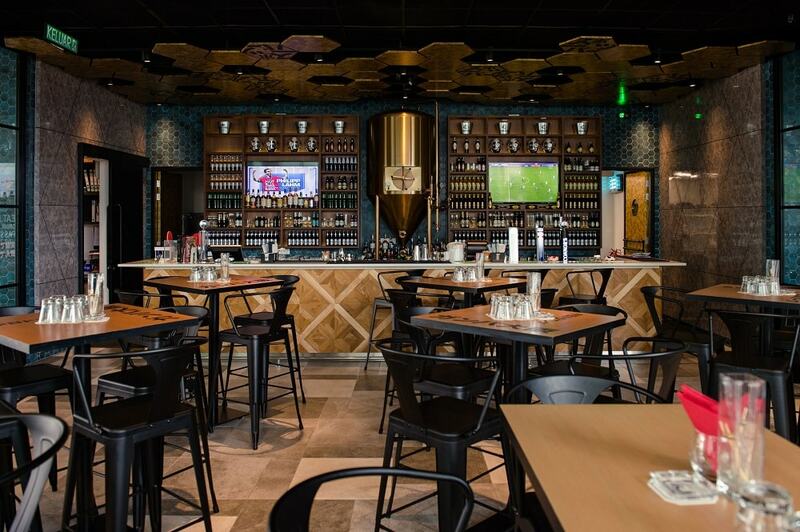 The Locker Room has an impressive collection of beers and spirits to tempt just about anyone with 60 different premium whiskies, 30 premium spirits, and 48 types of craft beer. 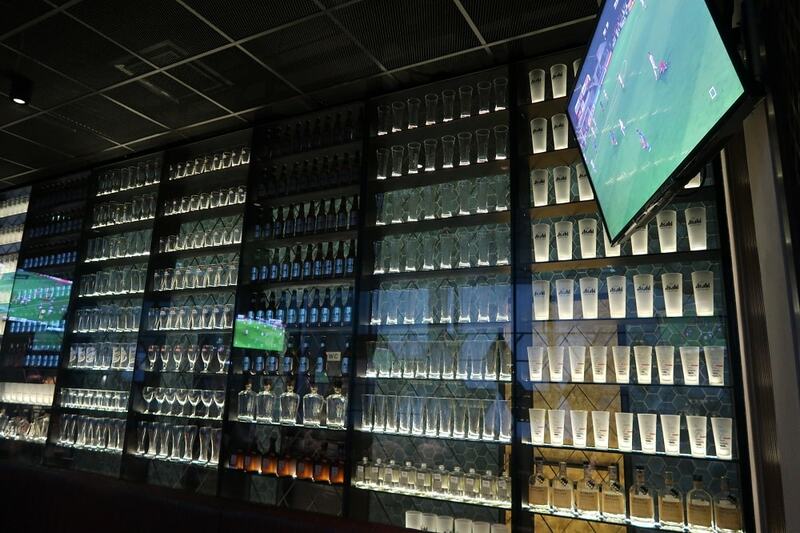 As The Locker Room is a Japanese-themed sports bar, they also have 17 Japanese whiskies in their selection including the full range of Nikka whiskies as well as Iwai, The Hakushu, Suntory, Akashi, and Hibiki to name a few. There’s even an entire wall displaying bottles of Asahi which makes a great background for an Instagram post. In fact, the entire place is quite photogenic, so you can be sure that your photos will turn out beautifully. Each month, The Locker Room runs a different bottle promotion for blended malts, single malts and vodka. So look out for that. Other promotions include Beer O’[email protected] Happy Hour from 4pm to 10pm daily when you can get beers like Asahi (RM20/pint), Kronenbourg Blanc (RM22/pint), and Connor’s Porters (RM12/glass); spirits like Broker’s Gin, Stolichnaya Vodka, Jameson Irish Whiskey (RM18/30ml); as well as Coopers Crossing white and red wines (RM15/glass each). Perfect for a night out with the lads. When the sun is out, The Locker Room offers a delectable set lunch for RM22++ between 12pm and 2.30pm, offering a salad of the day, your choice of one main – choose from sandwiches, pasta, and rice dishes – and one iced lemon tea. If you want, you can upgrade that drink for a glass of Asahi for and additional RM8. 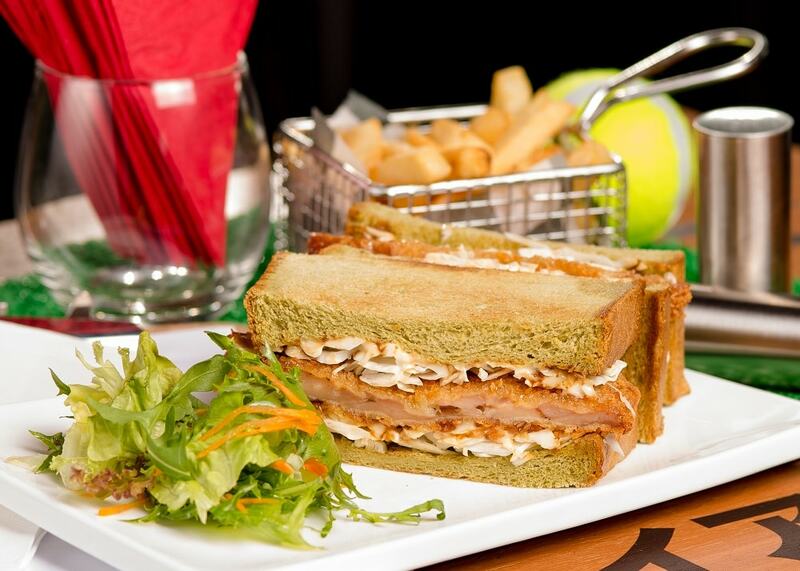 Considering the area, we’d say this set lunch is quite worth it considering the large portions of food served here. The menu here carries a hint of Japanese-flair with many dishes showcasing well-love Japanese ingredients. For snacks: the Giants Dome Karage or Verdy Edamame make great accompaniments for a pint or two. For a heavier meal, you can try the Hawks Mentai-Pasta of linguine with creamy cod roe sauce and tempura prawn or the Grampus Sando sandwich of miso chicken katsu in between matcha bread which is as weird as it is wonderful. 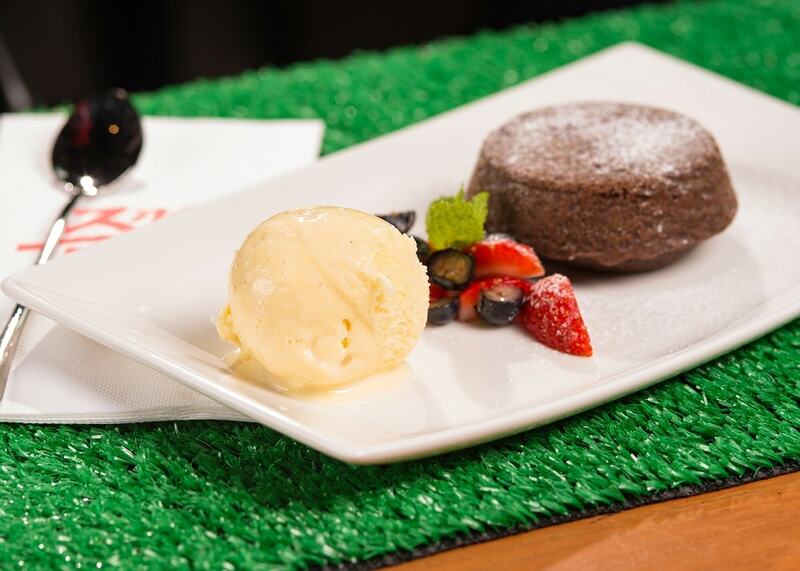 For dessert, the luscious, chocolaty miso lava cake is an absolute winner. Every Wednesday, ladies can look forward to LockerLadies featuring live music by the talented ROZZ between 9pm and 12am. Influenced by an ecletic mix which includes the likes of Barbra Streisand, Freddie Mercury, Grace Jones, and Diamanda Galas, ROZZ poses a fascinating and commanding presence that you will have to witness live in order to comprehend the magnitude of his vocal prowess and stage persona. Ladies can enjoy a selection of red and white wines at RM5 nett all night long starting at 7pm. The shiny new DC Mall at Damansara City Centre is still very calm and quiet and The Locker Room is one of the first bars to open their doors. So if you’re looking for a nice and semi-quiet place to hang out some friends, catch a game or two, or let loose for a mid-week break, The Locker Room is it.